MIDLAND, Mich. - The Michigan Baseball Foundation's 2015 grant application season will be closing on Friday, February 13. Grant applications can picked up at Dow Diamond or downloaded at Loons.com. All grant applications must be received by the Michigan Baseball Foundation via mail (825 E. Main St.; Midland, MI 48640), in person at Dow Diamond, or via email at eramseyer@loons.com. MBF has awarded 209 grants totaling $721,014 to non-profit organizations across 14 counties of the Great Lakes Bay Region over the past seven years. - The organization contributes to regional economic development by expanding employment opportunities, and promoting the general welfare of the area. - The organization is based in the Mid-Michigan area and serves young people. - The funded project promotes amateur sports and fitness. The Michigan Baseball Foundation will consider funding Mid-Michigan non-profit organizations that use the grant money to fund projects; the grants are not intended to fund day-to-day operations. Grant recipients will be notified by mid-April 2015. Recipients will also be asked to respond to the Michigan Baseball Foundation Board of Directors on the success of the project for which the grant was used. The Michigan Baseball Foundation is a 501(c)(3) non-profit public charity that was founded in 2006 to create regional economic development through creative partnerships, and to enhance the efforts of regional organizations that serve young people. The Michigan Baseball Foundation owns and operates Dow Diamond, home of the Great Lakes Loons, a Class A partner of the Los Angeles Dodgers. 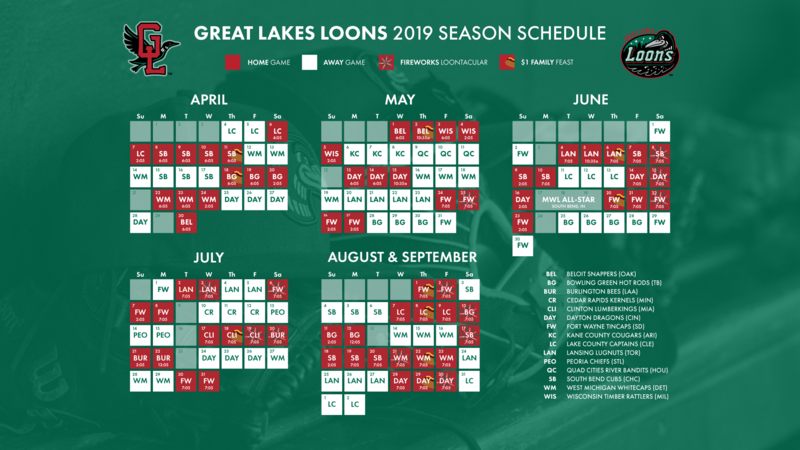 For more information contact Eric Ramseyer at 989.837.6166, or at eramseyer@loons.com.